Musical La La Land has won all seven of the categories it was nominated for at the Golden Globes. The Golden Globes, which are seen as a good precursor for what to expect at the Academy Awards, were handed out in Los Angeles this afternoon. La La Land swept up seven awards including Best Motion Picture - Musical or Comedy. Damien Chazelle picked up best screenplay and best director for his work on the film, while Emma Stone and Ryan Gosling won best actress and best actor awards for their performances. The award for best performance by an actor in a drama went to Casey Affleck for his role in Manchester By The Sea. Isabelle Huppert, for her role in Elle, beat out favourite Natalie Portman, who played Jacqueline Kennedy in the biopic Jackie, for best drama actress. The best supporting actor award went to Aaron Taylor-Johnson for his performance in Nocturnal Animals. The equivalent for best supporting actress went to Viola Davis for her role in Fences. Coming-of-age drama Moonlight won Best Motion Picture - Drama. BBC mini-series The Night Manager struck a chord with members of the Hollywood Foreign Press Association, with British stars Olivia Colman, Tom Hiddleston and Hugh Laurie all picking up acting awards. Netflix drama The Crown also did well, winning Best Television Series - Drama. Claire Foy, who plays Queen Elizabeth II in the 10-part series, won the best actress award in the television drama category. The People v OJ Simpson: American Crime Story, also fared well in the television categories, winning best mini-series or motion picture made for television, while the series' Sara Paulson picked up the best actress award in that category. Meanwhile, Moana, set in the South Pacific, missed out on the award for best animated film to the other Disney production in its category, Zootopia. Zootopia also beat out Kubo and the Strings, My Life as A Zucchini and Sing. 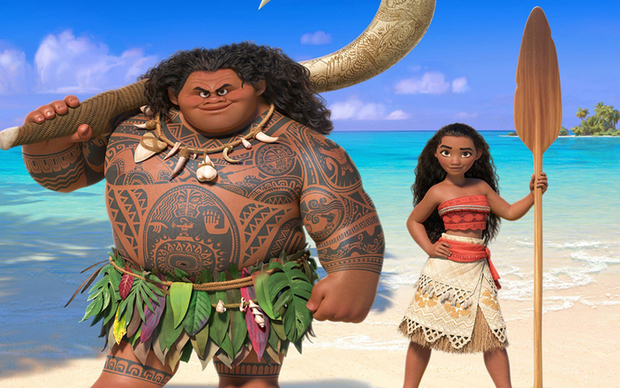 Moana, featuring New Zealand actors Rachel House, Jemaine Clement and Temuera Morrison, was also nominated for best original song in a motion picture but La La Land's 'City of Stars' got the nod and with it the best original score award. New Zealand director Taika Waititi wrote the initial script for Moana.